PCN Flight West: DL Capt. Durwood 'Bud' Scroggins Jr.
DL Capt. Durwood 'Bud' Scroggins Jr.
DL Capt. Durwood ‘Bud’ Scroggins Jr. The family will receive friends on Friday, April 19, 2013 from 12:00-2:00 PM with a funeral service beginning at 2:00 PM in the Chapel of Georgia Memorial Park Funeral Home, 2000 Cobb Pkwy SE , Marietta GA. 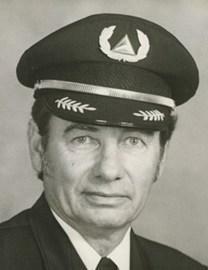 Bud Scroggins, World War II combat pilot and retired Delta pilot passed away Monday, April 15, 2013. The family will receive friends on Friday, April 19, 2013 from 12:00 until 2:00 PM with a funeral service beginning at 2:00 PM in the Chapel of Georgia Memorial Park Funeral Home. A Memorial Service will be held at a later date at the Links Golf Course, Fayetteville, Georgia. Mrs. Anna Mae Scroggins, age 76 of Marietta, Georgia died Sunday, April 28, 2002. She was a homemaker, loving wife, mother, and grandmother. Mrs. Scroggins is survived by her husband of 55 years, Durwood Scroggins; daughters and sons-in-law, Jean and Robert Roknick of Gainesville, GA; and Judge Nancy M. and Russ M. Campbell of Marietta; grandchildren, Cynthia Maddox Watson and William O. Watson of Powder Springs, GA; Carie Lyn Roknick of Gainesville; brothers, Hubert Turley of Culpepper, VA, James Turley of Lithia Springs, GA and Felton Turley of Hiram, GA. A funeral service will be held Wednesday, May 1st at 11 a.m. at the Canton Hill Chapel, with Dr. Albert Clarke officiating. Interment will follow at Georgia Memorial Park. The family will receive friends Tuesday from 6-8 p.m. at the funeral home. Arrangements by H.M. Patterson & Son, Canton Hill Chapel, 1157 Old Canton Rd., N.E., Marietta, GA 30068. 770-977-9485.